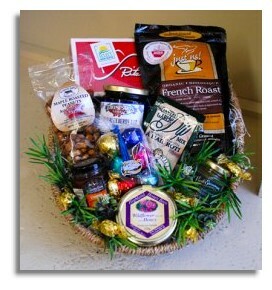 We specialize in creating original gift baskets for your corporate and personal needs. Our gift basket business is located in Truro, Nova Scotia, Canada. The products for our gift baskets are chosen with great care. Our selections include delectable gourmet foods, tempting sweet-tooth treats, specialty teas and coffees, Nova Scotia maple, blueberry and honey products and luxuriant spa items. We understand that your gifts reflect you and we guarantee your satisfaction. All of our gift baskets arrive wrapped in cello, with a themed decoration and message card. credit card through our secure website. Thank you to our beloved customer Easybook Bus Ticket from Singapore.